Maxwell Robinson & Phelps Pest Control is a market leader in Pest and Termite Control across Western Australia. They provide both domestic and commercial pest control through safe, pet friendly and environmentally friendly pest control treatments. They use technologically advanced termite inspection equipment and offer supportive and friendly customer service. The MRP Pest Control Technicians are handpicked and extensively trained to become specialists in pest control. Each team member is fully supported by the company and follow stringent guidelines for eradicating pest problems while making sure that your home, office, pets and the environment is totally safe. MRP also provide a wide range of Weed Control and Turf Management Services including the removal of rotting wood, replanting, and replacing cracked pathways. In 1949, lifetime friends Owen Robinson and Bob Phelps worked for the stock firm Elder Smith & Co. Ltd. At the start of WWII, both enlisted in the army. Bob, a captain in the 2/4 machine gun battalion, was captured during the fall of Singapore to the Japanese. During Bob’s imprisonment in Changi, he met Aubrey Maxwell, who at that time previously had a pest control firm in Singapore. Aubrey and Bob made a pact that should they both survive the war, they meet up in Western Australia and set up a business. And it was at that moment the vision of Maxwell Robinson & Phelps was born. Both survived the horrors of war and imprisonment to embrace their new lives. Aubrey arrived in Perth, Western Australia in 1949 and partnered up with Owen and Bob to set up Maxwell, Robinson & Phelps. The company flourished and in 2006, the company was purchased by Ray and Michelle Franklin. 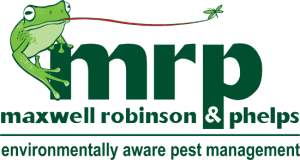 They have continued the legacy and ensured that MRP remains as one of the leading Pest and Weed Management companies in Western Australia. It really is a testament to a culture of superior service and a genuine need to help others that the company has gone from strength to strength over close to 7 decades. Maxwell Robinson & Phelps found the secret formula to a successful business and that is to operate with a positive can-do attitude. MRP takes pride in keeping your family home or business premises, people and pets, as well as our environment protected. Through their pest control services, they can prevent the spread of diseases and illness carried by house pests such as rodents, cockroaches and fleas, making your home a clean and safe place to live in. The service also caters for health and safety needs in the workplace. A thriving company like MRP deals with many clients on a day-to-day basis, both domestic and commercial. As you can imagine, there is a huge amount of administration work involved with scheduling inspections, coordinating pest control treatments, liaising with MRP Pest Control Technicians, ordering supplies, ensuring regular trainings are taken care of… as well as the usual business running’s. Ray and Michelle constantly look for ways to improve their business and are not intimidated by innovation to enhance their services or processes. 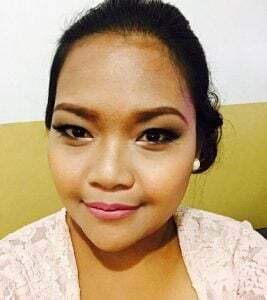 To keep up with their busy schedule, they decided to take advantage of our Virtual Assistant Services, and one of our favourite VA’s… April Mordeno is part of their team. April assists MRP with Administration Support by generating daily reports, sending out termite inspection reminders, as well producing site maps. She is very happy being a strategic part of Maxwell Robinson & Phelps and we love hearing the regular positive feedback on her performance from Ray and Michelle.